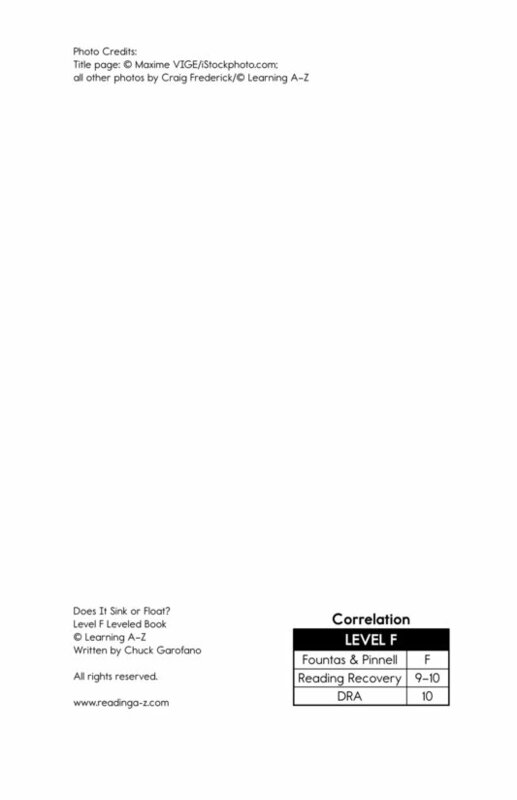 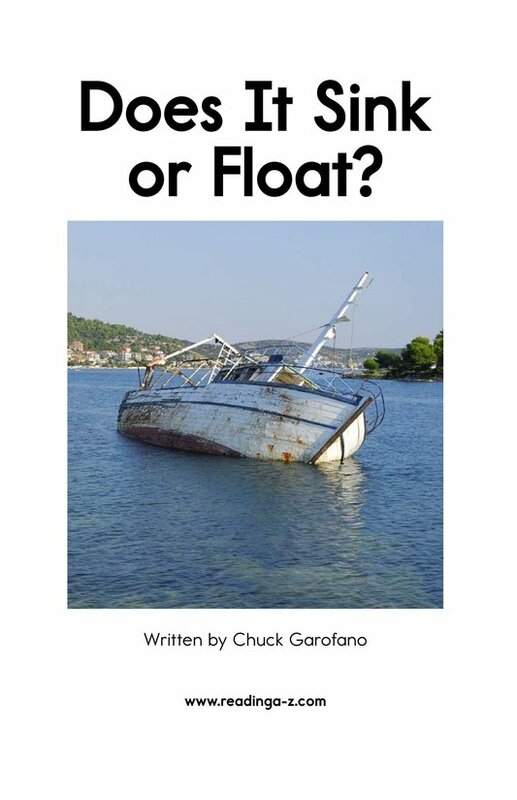 > Books > Leveled Books > Level F > Does It Sink or Float? 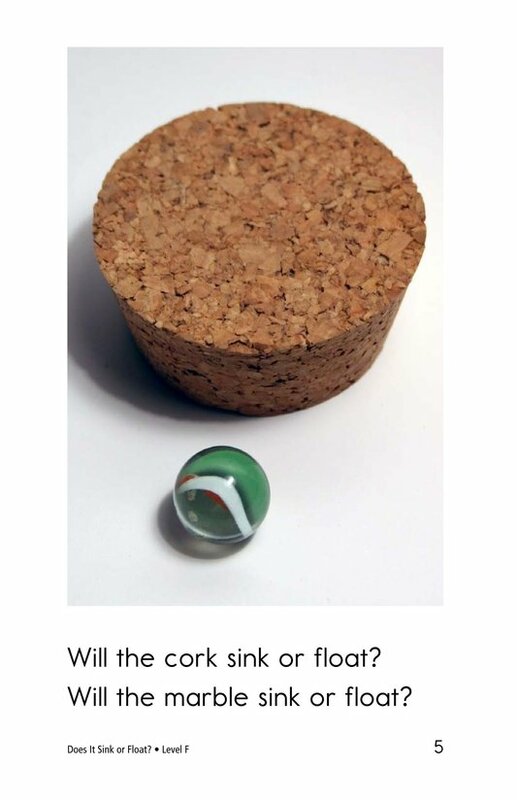 In Does It Sink or Float? 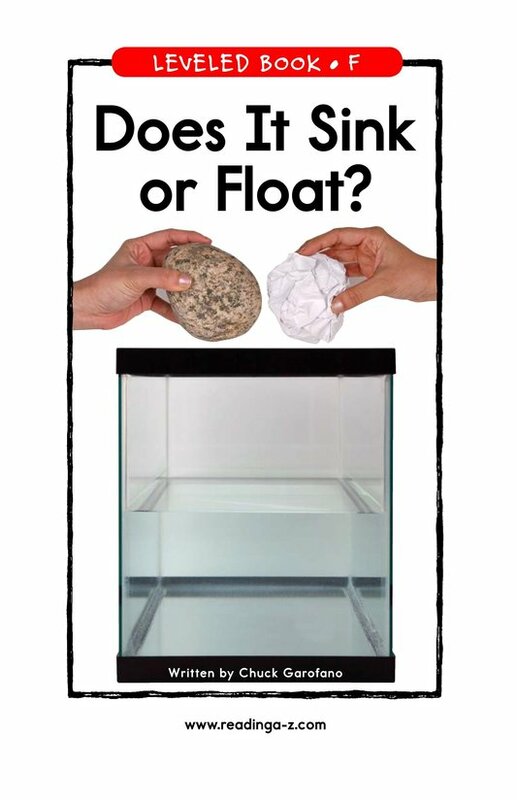 students have the opportunity to use what they know about familiar objects to determine whether each will sink or float in water. 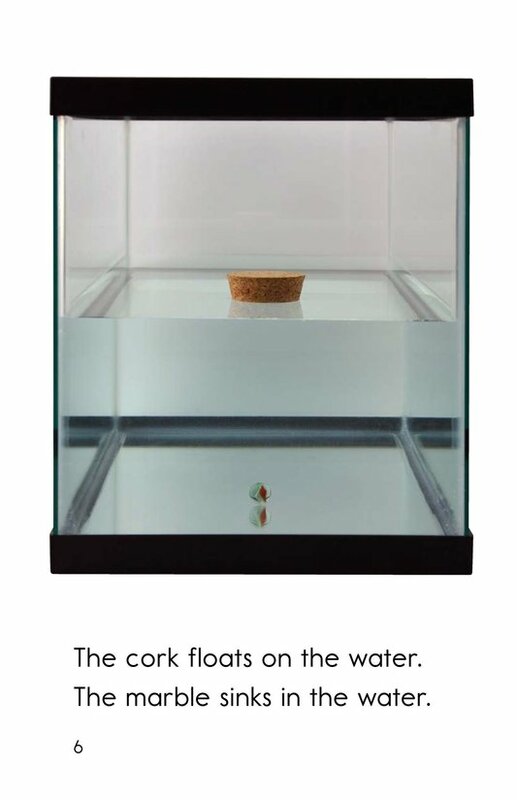 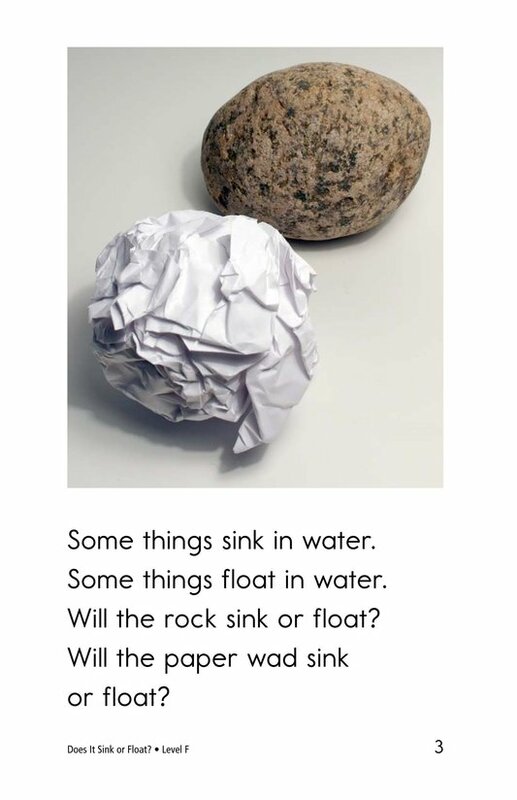 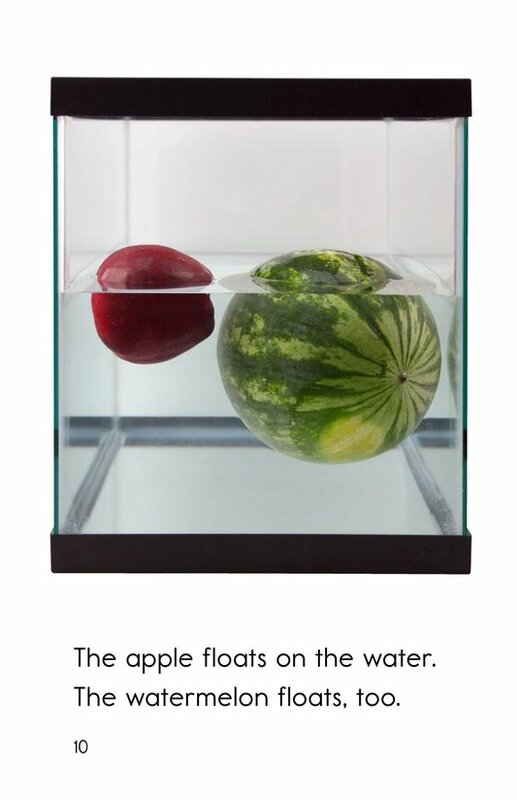 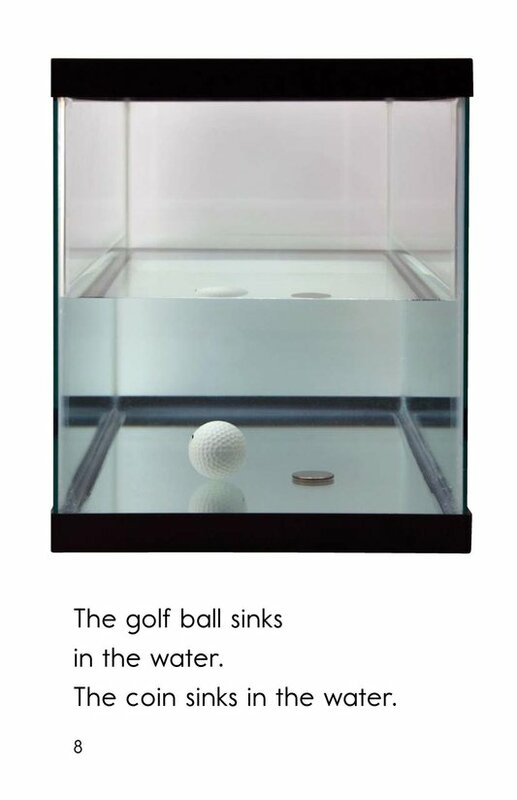 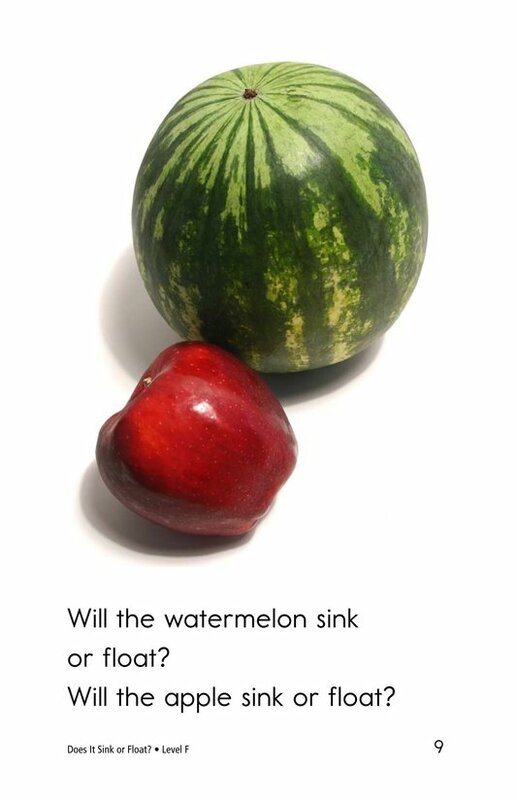 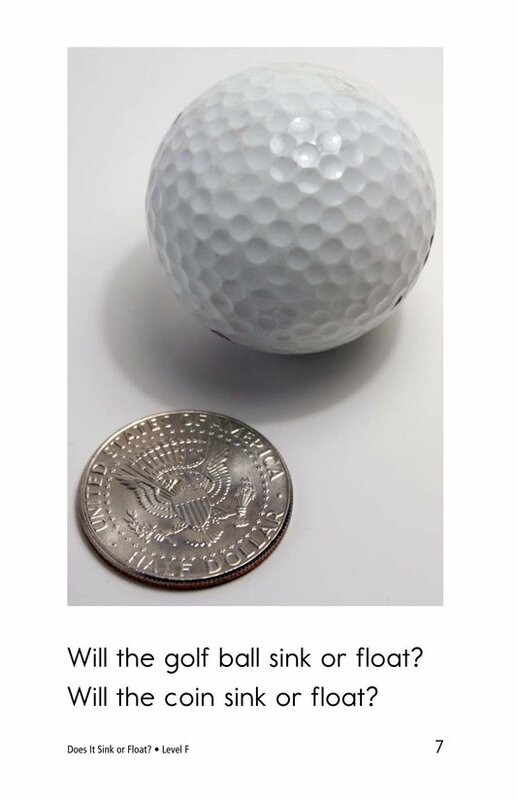 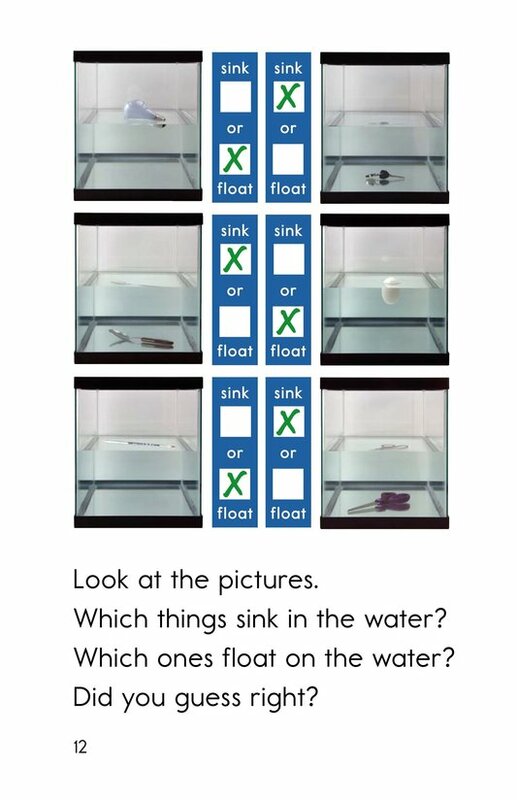 Interesting photographs are included to enhance student understanding of the concepts sink and float. 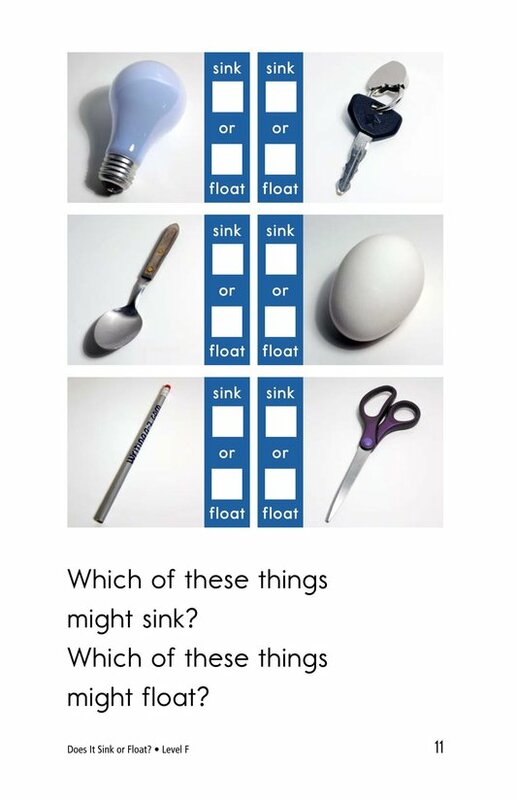 Repetitive phrases and high-frequency words support early readers.